Historical Background: How Did We Get Here? All art is culturally specific. This is not to say that great works of art cannot speak across widely disparate cultures, but the further removed the viewer/listener’s culture is from the culture of an art work’s creator, the more difficulty the former will have in appreciating the art. And in some cases the chasm may well not be bridgeable. All art is an expression of its culture. The history of much artistic expression worldwide is participatory, inclusive, and community-based. These facets are a reflection of the cultures from which the art springs. As will be shown, the artistic expression with which much of this book is concerned–that of Europe, often more specifically Western Europe–places a barrier between artist and perceiver, tends to be exclusive, and focuses on the individual more than the community. These all reflect the society from which they derive, but they are also seeds of the problem being addressed here. The origins of the arts appear to lie in expression of things important to the community. This expression might have involved everyone as active makers of the art or individuals who “gave voice” metaphorically (and sometimes literally) to that which was being expressed. However, in the latter case, the artist was primarily a conduit for the sense of the people and the “audience” was actually participating in the process rather than passively observing. As most societies evolved, increasing prosperity led to specialization in all fields. This is true of the arts as it is for all other types of endeavor. The work of creative artists is then supported by the society as a whole or by wealthy individuals. Typically, however, when the latter happens, the patron’s self-aggrandizement takes the form of placing himself or herself in a favorable light in the context of the community. The griots (and in music, the jali) of West Africa place the glory of their patrons in the long line of the community’s history. In Europe, during the Middle Ages such a shift of the focus of cultural expression took place. In the Western Church, priests served as intermediaries between God and the people. This gave the Church great power and, along with it, much wealth. The arts became both intercessory and instructional–tools of the Church. The arts supported by the resources of the Church were no longer inclusive, community-based, and participatory. They became an exclusive, performer-based, observer experience. As the Church gradually lost power and influence, its role as supporter of the arts shifted to political rulers. Kings, dukes, and counts took the patron role from popes, bishops, and priests. At the same time, the Western focus on the individual, beginning with the Renaissance, shifted the emphasis of arts patronage from promoting the Church to celebrating the lives of individuals. Skilled performers became even more separate from the bulk of the population. Congregations and, later, audiences/viewers–invited guests of the patrons–were, for the most part, recipients of rather than participants in this art. The passive audience was born. In these “arts delivery systems”–the processes by which the arts are funded and presented–patrons supported the creation and presentation of the arts. In nineteenth-century Europe, the rise of the middle class (or, more accurately, a lower upper class) led to the development of a system of ticket and gallery sales for the generation of additional revenue. This response to changing social and economic realities had an impact upon the arts created and presented. However, the patronage system continued to be a dominant part of the creative process. Patron subsidies remained essential. A similar transition, but one more appropriate for its political and economic history, was made in the U.S. First, the presentation function was taken up by what evolved into the not-for-profit corporation. (It is worth noting that, in general, corporations have a tendency to be far more conservative than individual patrons.) Second, financial support was taken on by members of the upper class and by corporations (as surrogates for the upper class). A critical difference in the two systems is that a large measure of the art supported in Europe was home-grown, a situation very nearly reversed in this country. As a result, a somewhat broader base of political support for the arts exists in Europe than in the U. S.
In the U. S., the arts maintained a relatively stable, if quiet, niche in society until the 1950's. 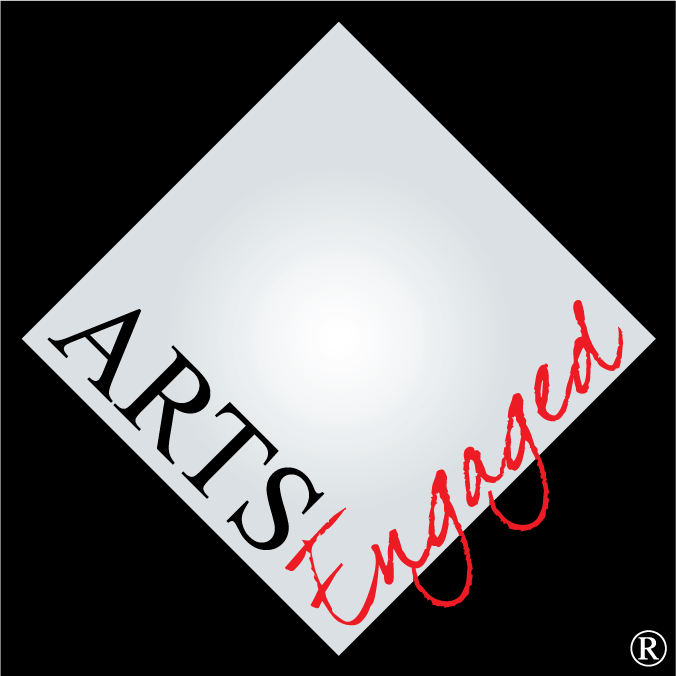 Interest and activity in the arts then grew until the mid-1960's, at which point an explosion in arts attendance occurred. After 15 years of booming growth from 1965-1980, attendance at professional performing arts events reached a plateau. A very readable analysis of the causes of both the boom and the plateau can be found in a book entitled Waiting in the Wings by Bradley Morison and Julie Dalgliesh. To summarize briefly, many factors contributed to the boom, but a thriving economy (at least through the first part of the period) and the explosion in higher education precipitated by the GI Bill were prominent factors. However, the principal influence was the role of the National Endowment for the Arts in decentralizing arts activities in this country and encouraging the expansion of arts opportunities into previously unserved areas. During this period, the U.S. went from having 6 state and 50 local arts agencies (like arts councils) to 50 state and over 2000 local arts agencies. Professional theatre companies increased from 40 to 140, opera companies with budgets over $100,000 increased from 35 to 109, the number of museums increased by 28%, and the number of dance companies increased at least fivefold. Morison and Dalgleish observe that by the 1980's, through decentralization, the market had been "maxed out." Converts had not really been won. Those who were predisposed to be interested in the arts had simply gotten onto the bandwagon because the wagon had gotten to where they lived. Most arts organizations had anticipated that the growth curve of the 1960’s and 1970’s would continue. They were caught short when it plateaued. To continue the analysis, it is helpful to understand the nature of the arts experiences discussed here. The terms “high art” and “popular art,” while familiar to many people, are imprecise and have value-laden connotations that are not helpful. A pair of “new” terms–reflective and visceral art–can aid understanding at the same time acknowledging the merits to be found in all artistic expression. The principal characteristic distinguishing reflective and visceral art is aesthetic focus. By this is meant the relative emphasis placed upon depth of content as opposed to immediacy of impact. Works emphasizing depth of content challenge the mind and spirit and offer rich rewards for repeat exposure to them. Works emphasizing immediacy of impact are designed to have a profound and immediate effect upon the perceiver. These two foci are not mutually exclusive. Great works of art attend to both of them. The not-for-profit arts establishment in the U.S. is concerned almost exclusively with reflective art. Such art demonstrates what economists call market failure (inability to support itself in the marketplace) and political scientists term political failure (it lacks sufficient electoral support to provide full, or even substantial, funding through government). Nevertheless, reflective art has been deemed to be valuable and so it is supported through the mechanism of the not-for-profit corporation. This is the same mechanism developed to support other valued enterprises such as social services, private education, and issue/policy advocacy to name a few. The arts supported by established presenting organizations are primarily reflective art created in Europe in the eighteenth- and nineteenth-centuries or art that is a direct outgrowth of that epoch. They are rooted in a cultural language that is increasingly foreign in the twenty-first century U.S. This makes such artistic expression remote for many people; it requires considerable effort on the part of the perceiver to understand a cultural “language” that would have been commonplace to those from that place and period. It can be difficult for those without a solid background in European culture of several centuries ago (who now make up the vast majority of our population) to benefit from what the arts of that culture have to offer. The result is arts and arts institutions that stand removed from a considerable portion of their communities. The social, political, and economic conditions out of which that art and its “delivery systems” grew no longer exist. As contemporary conditions become further and further removed from those that gave rise to these arts and their institutional structures, the less viable those structures become. The cultures that gave birth to the arts with which this chapter is primarily concerned were monarchies with elaborate aristocracies. The arts were produced for and supported by them. As long as this system remained in place, there was little concern about the arts relationship with “the people.” When Europe moved to constitutional monarchies and democracies, much of the status quo from earlier eras was maintained in a plutocracy of the social elite. The situation was different in the United States. Some of the original settlers of this continent were antagonistic to the arts, and later immigrants–the poor, the tired, the huddled masses–were clearly not from socio-economic groups that were arts patrons. This is but one reason that there is not a long history of public support of the arts in our country. There was never a monarchy here; however, from the beginning, the notion of class has played a significant role in our society. (The Constitution granted the vote only to white, male property owners and prevented direct election of U.S. Senators.) The disparity in wealth between rich and poor (among free whites), while significant, was not until the arrival of the Gilded Age near the end of the Nineteenth Century the chasm here that it was in Europe. It is no coincidence that the establishment of many of the United States’ flagship arts institutions dates from the second half of the Nineteenth Century. The layering of plutocracy on a democratic political system is a circumstance with which many in this country are uncomfortable and would prefer to ignore. The rights movements of the 1950’s and 1960’s brought the awareness of social inequities to public consciousness in a way that the labor movements of the first half of the twentieth century had done with economic inequities. One result has been an increasing concern with accountability and equity in matters of public policy. This has begun to have an impact on public discourse about the arts (and is one of the things that some in the arts community still do not understand) and the demand for equity will only increase. The Occupy movement of 2011, while not focused on the arts, suggests a rising tide moving in this direction. A system supporting (or that is seen to be supporting) arts for the well-to-do will be completely untenable in the near future. Established arts organizations in the U.S. are overwhelmingly concerned with the presentation of arts that were far closer to the vernacular cultural language of eighteenth- and nineteenth-century Europe than to the U.S. today. (Even then, it was not the vernacular of the “person on the street” but of the upper class. Nonetheless, it would have been more readily recognizable by Europeans then than by U.S. citizens now.) This is not a criticism of that art, merely a statement of fact. Even for U.S. citizens of European heritage, the culture out of which those arts grew is several centuries and thousands of miles removed from their daily experience. At the same time, as virtually every periodical is pointing out regularly, the U.S. is quickly becoming less European in the cultural background of its citizens. There is some disagreement about the exact date at which the percentage of whites of European descent in the U.S. will dip below 50%, but there is no doubt that it is coming soon. Taken together, these facts indicate that an industry based primarily or even largely on the heritage of a foreign culture will soon face serious survival issues, even if the issues of expense and funding were not becoming increasingly troubling. This is particularly true for large performing ensembles, especially symphony orchestras. The simplest way to think about this is to understand that when the orchestra developed, labor was far less expensive relative to the cost of everything else than is the case today. The economic environment that spawned the medium of the orchestra no longer exists. If the orchestra, as a medium of artistic expression, were not a given fact of life now, today’s economic situation would never have allowed it to evolve. The economic pressures represented by inflation and productivity lag will do nothing but create an increasingly hostile environment for this institution that developed in a completely different economic circumstance. What is true of the orchestra is true of all arts activity to varying degrees. As noted earlier, the reflective arts, because they are inherently less “salable” than the visceral arts, always have and always will require some form of subsidy. The 1960’s to the 1980’s saw a huge increase in the number of arts organizations in the U.S. The last twenty years have seen a 50% increase in the total number of not-for-profit corporations in this country. (All not-for-profits are labor intensive, so the issue of productivity lag with respect to the arts applies to the entire sector as well.) At the same time, economic reality accompanied by a political/philosophical shift in government has resulted in significant cutbacks in public money to support any not-for-profit activity. Each not-for-profit requires funding. They are all competing for a finite pool of charitable giving dollars. The demands of the market and the vagaries of the economy have forced corporations to re-evaluate long-standing patterns of corporate giving. There is more concern with observable results, especially with respect to corporate employees and product sales. In the arts, this led to the emphasis on corporate sponsorships and in the broader not-for-profit world on cause-related marketing. Skyrocketing costs and the competition for funding have affected the nature of private patronage as well. In the period of initial arts patronage in the U.S., due to extreme concentrations of wealth and low labor costs, it was possible for a single patron to fully fund an arts activity. The Boston Symphony, founded in 1881, was for decades supported by a single patron, Henry Lee Higginson. Such a situation is simply unimaginable today. In addition, much is being written about the changing face of patronage. While extreme concentrations of wealth have re-emerged over the last thirty years, compared to the mid-Twentieth Century, the attitude regarding charitable giving of those with money has shifted. Among those with inherited wealth, the 1980’s loosened the hold of noblesse oblige that had characterized earlier generations, making charitable giving less a foregone conclusion than had been the case. Among the newly wealthy, there is a great demand for accountability for and tangible results from their contributions. Especially among high tech entrepreneurs, there is also a greater desire for a personal connection to the cause being supported than had been true in earlier eras. The proliferation of not-for-profit organizations requiring funding has far outpaced the expansion of the multi-millionaire pool. Inevitably, a smaller percentage of not-for-profits will be able to find deep-pocketed individual donors than has been the case in the past. This will lead to increasing pressure to expand the donor base. The math for the future of individual giving is that one million dollars can come from a single gift or from 40,000 gifts of $25. And a shift to the 40,000 gifts model will require organizations to be deeply engaged in their communities.